Join the fun at the Jersey Shore Wine Festival this June. LAKEWOOD, N. J. 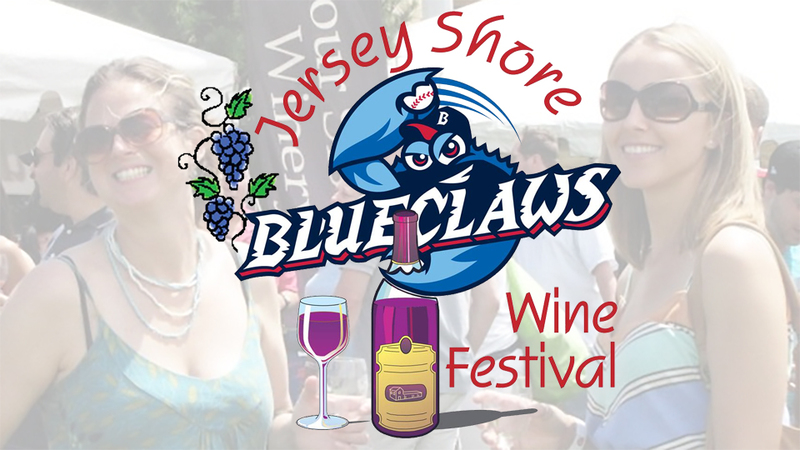 - The Lakewood BlueClaws will host the 8th annual Jersey Shore Wine Festival at FirstEnergy Park on Saturday, June 9th and Sunday, June 10th. The Jersey Shore Wine Festival is a two-day wine festival that features samplings from a variety of award-winning wineries from throughout the Garden State. Among the participating wineries are Chestnut Run Farms, DiMatteo Winery, Monroeville Vineyard and Winery, Plagido's Winery, Valenzano Winery, Villari Vineyards, and Waggonhouse Winery. In addition to wine tastings, there will also be live entertainment, as well as crafters, retail vendors, and food vendors. The festival is held each day from 12 p.m. noon to 5 p.m. ET. Tickets: Tickets are $20 in advance of the event. They are currently on sale by calling 732-901-7000 option 2 or online (Saturday Tickets / Sunday Tickets). Those interested in becoming a vendor can fill out a form online by clicking here. All net proceeds from the event will be donated to Sylvia's Children, a Holmdel-based 501(c)3 organization working over the past decade to improve the living conditions for more than 1,000 children in Uganda.